This material is provided for informational purposes only. Before taking any action that could have legal or other important consequences, confer with a qualified professional who can provide guidance that considers your unique circumstances, including state-specific employment laws. On June 21, 2016, the Federal Aviation Administration (FAA) released its Small Unmanned Aircraft Rules -- officially known as Part 107 of the Federal Aviation Regulations -- made effective August 29, 2016. Still, many of today's design firms remain unclear as to the extent of the FAA rules and the designer's proper role and responsibilities when it comes to using so-called "drones" on their projects. What is clear is that design firms that purchase and fly drones for commercial purposes, or who hire the services of subconsultants or third-party pilots who operate drones on their behalf, face liabilities should regulations be violated, or personal injury, property damage or design errors occur. That's why it's important to know the operational rules and ensure you have appropriate safeguards, including proper insurance, to cover any losses and liabilities. All small unmanned aircraft must be registered with the FAA. The total weight of the small unmanned aircraft, including cameras or other add-ons, must be less than 55 pounds (25 kilograms). Any aircraft that weighs more than 55 pounds are governed by separate, more complex rules. External loads can be carried by the small unmanned aircraft as long as those loads are securely attached and do not affect the flight characteristics or control of the drone. When in use, the small unmanned aircraft must remain in the visual line of sight of the pilot in command and any other person using flight controls. The aircraft must also remain close enough to the pilot/controller that he or she can observe the aircraft without the use of binoculars, telescopes or other visual aids other than corrective lenses (e.g., eyeglasses or contact lenses). The small unmanned aircraft cannot fly overhead of any individuals not participating in the flight operation. Nor can the aircraft fly under a covered structure or inside a covered stationary vehicle. The flight of unmanned aircraft is only allowed during local daylight hours, or during twilight (30 minutes prior to official sunrise to 30 minutes after official sunset) when using approved anti-collision lighting. The small unmanned aircraft must yield the right of way to any other aircraft. The maximum groundspeed of the aircraft cannot exceed 100 miles per hour (87 knots). The maximum altitude of the aircraft must not exceed 400 feet above ground level, or higher if the aircraft remains within 400 feet of a structure. Mininimum weather visibility for the aircraft pilot or control station is three miles. No individual can command more than one unmanned aircraft at a time. No individual can command an unmanned aircraft from another moving aircraft. No individual can command an unmanned aircraft from a moving ground vehicle except in sparsely populated areas. Careless or reckless operations are prohibited. No person with a known physical or mental condition that could cause unsafe operation of a small unmanned aircraft can operate said vehicle. Carrying of hazardous materials on an unmanned aircraft is prohibited. The pilot is required to inspect the unmanned aircraft prior to each operation. Quickly and easily complete your registration today. The remote pilot in command must 1) hold a remote pilot airman certificate with a small unmanned aircraft rating or 2) be under the direct supervision of someone who holds such a certificate. To earn a remote pilot certificate, an individual must be at least 16 years old, vetted by the Transportation Security Administration, and able to demonstrate aeronautical knowledge by either 1) passing a aeronautical knowledge test given at an FAA-approved testing center or 2) holding a Part 61 pilot certificate and completing both a flight review (within the past 24 months) and an online FAA unmanned aircraft training course. Make the small unmanned aircraft and related documentation available for inspection and testing upon request by the FAA. Report to the FAA within 10 days any accident that results in serious injury, unconsciousness or property damage of $500 or more. Conduct pre-flight inspections of the aircraft and control system to ensure they are in good condition for safe operation. Ensure the aircraft continues to be properly registered as required by the FAA. Before purchasing a small unmanned aircraft and having a licensed pilot on staff, or hiring a third-party to provide such aerial services, check with your attorney regarding compliance with Part 107 of the Federal Aviation Regulations. Also determine if there are any state or local restrictions or requirements on the commercial use of small unmanned aircraft. Your primary way to manage risks is to ensure your pilot in command and any others directing the use of drones are well trained, experienced and conscientious regarding the safety and privacy of others. The aircraft should be well maintained and carefully examined before each flight. You should maintain an operating manual, keep detailed flight logs for all aerial activities and promptly report any accidents and damages to the FAA and your insurance carriers. Proper insurance coverage is an important piece of your risk management practices. Historically, most commercial general liability (CGL) policies have specifically excluded covering any liability arising out of the ownership, maintenance and use of aircraft. With the advent of the commercial use of drones, however, more and more insurers are willing to add such coverage through a policy endorsement. Such endorsements can cover property damage and bodily injury caused by the use of the aircraft as well as damage to or loss of the drone, its ground controls or its payloads. Most CGL insurers will also offer personal injury coverage, including coverage for invasion of privacy, as an option. If your current CGL carrier does not offer coverage for drones, you may need to secure a separate aviation policy. If you hire a subconsultant or other outside vendor to operate a small unmanned aircraft on your behalf, ask to be named as an additional insured on their CGL policy, and ensure they have adequate coverage limits. Or, you might be able to purchase your own non-owned aircraft coverage, either by endorsement to your GL policy or as a standalone policy. In either case, follow solid loss prevention protocol including protective contract language with your drone-flying subs and proof they are covered. 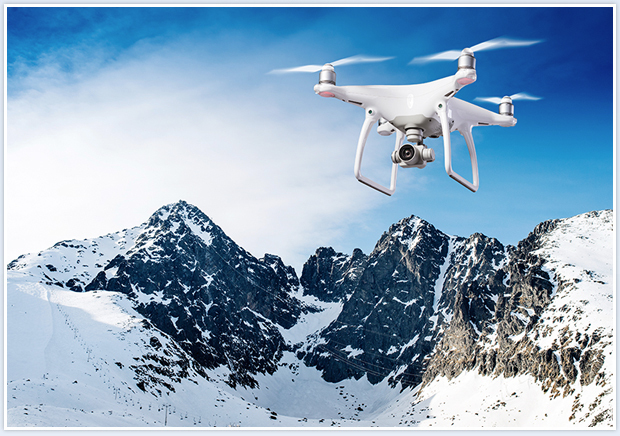 Bear in mind that the use or misuse of drones can also result in professional liability (PL) for your firm, which is likely not covered by your CGL policy. The failure to perform up to the current standard of care regarding the use of drones, as well as design errors or omissions made due to the misapplication of information gathered during the use of drones, can result in professional liabilities and losses. Check with us regarding how your current PL policy covers the use of small unmanned aircraft. Again, a policy endorsement may be needed to provide you with proper coverage. We may be able to help you by providing referrals to consultants, and by providing guidance relative to insurance issues, and even to certain preventives, including the development and application of sound human resources management policies and procedures. Please call on us for assistance. We’re a member of the Professional Liability Agents Network (PLAN). We’re here to help. During Mid-States over 25-year business relationship with American Insurance, we have always found Dave Bradshaw and his staff to be willing to help us in any way. They respond immediately to any needs that we might have, and provide assistance that exceeds what you would normally expect from an insurance broker. It would not be a stretch to say that American Insurance is essential to our business operations. The staff at American Insurance is professional, knowledgeable, and completely trustworthy. Proudly serving Salt Lake City, UT, Las Vegas, NV, North Salt Lake, UT, Bountiful, UT, Farmington, UT, Park City, UT, and surrounding areas.